25/11/10 -- Jan11 London wheat closed GBP3.15 higher at GBP174.65/tonne, with Nov11 up GBP3.95 to GBP149.00/tonne. 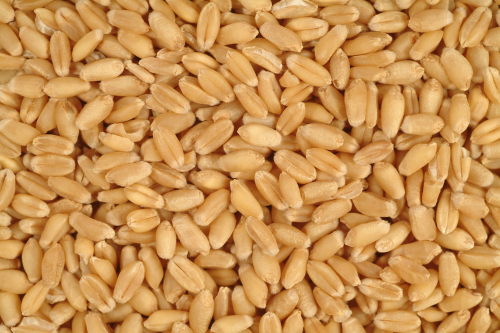 Jan11 Paris wheat rose EUR2.25 to EUR218.25/tonne and Nov11 was EUR1.25 higher at EUR196.00/tonne. This was the highest front month close for London wheat since April 2008. It was a low volume day with the US markets shut for Thanksgiving, and many traders also expected to be absent tomorrow when Chicago will trade a shortened session. 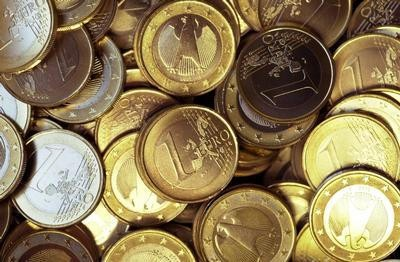 The euro was under pressure again on concerns over Ireland, Portugal and Spain - amongst others. 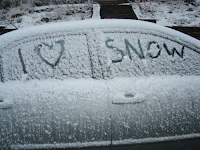 Much colder weather and snow arrived, as was forecast, which just helped underpin the market. London gained relative to Paris wheat as the differential between the two continues to narrow. Brussels announced that they'd agreed to sell 223,000 MT of intervention grain on the first day of tenders. There were plenty of bids apparently, with five of the countries concerned getting interest for the entire volume on offer. In addition they said that export licences had been issued for 351,000 MT of soft wheat during the past week. That takes the total for the current marketing year to 9.6 MMT, up by more than a third on a year ago. The IGC left their world wheat production estimate unchanged at 644 MMT, but raised consumption by 2 MMT to 660 MMT. Global ending stocks are seen down 16 MMT on last season. World corn output was cut by 4 MMT from last month to 810 MMT, with ending stocks pegged at 121 MMT, 31 MMT down on last season. 25/11/10 -- A pretty confident unchanged across the board is the early call for this afternoon. For all you horse racing fans out there, have you ever noticed that on days when we are open and Chicago is closed, it's a bit like when all the proper race meetings are off. You have to make do with the all weather from Southwell, or even worse Walthamstow dogs. Or even worse than that the stupid "virtual" racing that they have these days. Who on earth would bet on that I'll never know. Hang on a minute, yes I do, my mate Kieran. He likes a bet does Kieran, and he also sadly suffers from a medical condition that means he never wants to be too far away from a lavatory, without going into too many details. Well he went down to London with a gangs of mates once and surprisingly they all decided that it would be a sensible thing to do to go out on the lash. When they awoke in the morning at the flat where they were all crashing one of the girls involved had decided to run herself a bath (the very cheek of it). She refused to come out of it even to allow Kieran to see to, what was to his mind some very pressing business. So resourceful Kizzer decides to pop over the road to William Hills and dispose of his brown paper parcel using their facilities. Being a gentleman as well as a scholar of course Kieran couldn't bring himself to simply bowl in and leave Efan Ekoku behind him so to speak, without at least using their other facilities as well. So he quickly put a bet on all they had to offer at that time in the morning, the virtual racing from "Hilltop Gardens". One, seven and thirteen are Kizzer's lucky numbers so he rattles off a quick tricast on those and settles down to complete the remainder of his mission. You can probably guess the rest if you've stuck with the story this long, as Kizzer leaves the shop both a couple of pounds lighter and also several hundred pounds heavier. He is ginger though, so he doesn't have things all his own way. 25/11/10 -- The International Grains Council have cut their global corn production estimate by 4 MMT this month to 810 MMT. That's now fully 8.5 MMT lower than the current USDA estimate of 818.5 MMT. Consumption is seen at a record 840 MMT, up 27 MMT on last season, with ending stocks pegged at 121 MMT - 31 MMT down on last season and also 8 MMT lower than the USDA estimate. World wheat production was estimated at 644 MMT, unchanged from October's estimate and broadly in line with the USDA's figure of 642.9 MMT. Global wheat consumption was raised 2 MMT from last month to 660 MMT. World 2010/11 ending stocks are seen declining 16 MMT from last season to 180 MMT, that's 7.5 MMT more than the USDA project. They don't let them have decimal places at the IGC. Or sharp things. 25/11/10 -- Latest guide prices for EU rapemeal. 25/11/10 -- You can tell it's a no news sort of a day can't you? 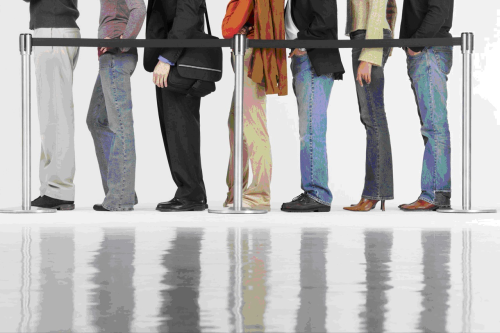 The French are attempting to usurp the British pastime of queueing it would seem, after a Parisian woman stayed locked in her bathroom for twenty days. They say that as if it's some sort of record? MrsN#1 used to start getting ready for the Christmas night out in August. No, now come on, I'm NOT going to do the one about her being so ugly that when she got into the sandpit to play with the kids the cat used to cover her up again, that would be cruel at this festive time of year. Don't worry, the woman's alright like, I mean she wouldn't have been short of a drink now would she? She may have lost a few pounds granted, but at least she'd have had ample time to give the place a really good clean. You can read all about it here. They don't give us her name sadly, but I'd just love it if it was Fatima Arbuckle. 25/11/10 -- It's falling steadily here in North Yorks, and the sky looks heavily laden with plenty more of the white stuff. 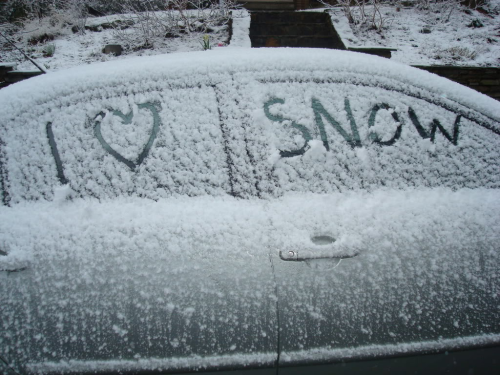 The BBC are saying that this is the earliest widespread snowfall for 17 years. I assume they mean in England, where it matters. The Jocks are used to it aren't they, they've probably not even bothered taking the sunloungers in up there yet. And it's not like they've got an infrastructure to disrupt anyway is it? Chris Fawkes (he's a nice Guy), from the BBC Weather Centre, says "5-13cm (2-5in) of snow was expected in low-lying areas later, but places like the North York Moors, which were particularly exposed to the north-east wind, could see falls of up to 20cm." A spokesman for the national DIY chain Poltergeist-base said "snow shovels and wellington boots are flying off the shelves." The PIIGS have lost an I as Ireland have now grasped the nettle, as of course also have Greece so the G has gone as well now. Incidentally reports circulating yesterday that Steve Jobs and Apple Corp were to step in and buy Ireland, slim it right down, give it a touchscreen and re-brand it as iLand appear to have been untrue. So right, we're left with PIS at the moment, although Slovakia or Slovenia could easily join the party any time soon. Reports this morning suggest that little old Belgium might be about to join this illustrious club after the premium to insure against it's debt rose by 5% yesterday. I don't know whether that gives us SPIB, BIPS or PIBS, but it probably doesn't matter as the smart money is now piling on the Portuguese to be the next country to fall. The cost of insuring against their debt is apparently 3.3 times greater than that of Belgium and two thirds higher than Spain's. That leaves us with BIS, if Italy pull out and Austria, Latvia and Lithuania do the decent thing then we're left with BALLS. 25/11/10 -- Look at the date, it's only a month to go folks, and it's just started snowing too. Perfectly on cue as I'm driving all the way from North Yorkshire to Devon tomorrow, so six foot of snow is a nailed-on certainty. As too are jack-knifed lorries on the M42. Hurrah! I knew I should have bought them snow chains. 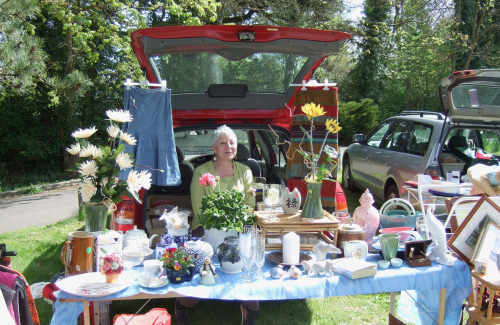 The impressively organised MrsN#3 has everything bought and wrapped already. Unsurprisingly I haven't made much of a dent in her stuff myself yet. 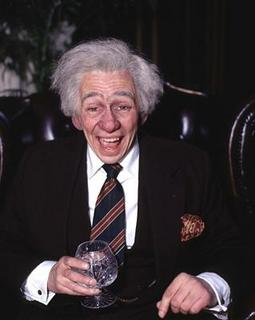 Stumbling round the scanty department of M&S at 4.30 on Christmas Eve is a kind of tradition in the Nogger household. "What size is she, Sir?" "About twice the size of yours darlin'" always seems to get me somewhere in the ballpark. They don't do peep-holes though, not even in black, but you can always snip a bit off can't you - although it does tend to invalidate their returns policy I find. The number of years I've had to call for the manager the day after Boxing Day in M&S is unbelievable. "They were like this when I bought them sunshine" or "moths?" and a threat of physical violence usually does the trick though. To my surprise last year's effort at putting stuff in those shiny bags you can buy in all sizes these days went down rather well. Considering that the obvious truth was "sorry love, I couldn't be bothered wrapping them." I hope she's impressed with the year planner this time round. I think I'm on safe ground there, as I say she does like to be organised so I figure that I'm helping her get even better at what she likes to be. More Christmas tips coming soon, like: "how to get your money back from Moss Bros on a vomit-stained dinner jacket" and the vital "Nogger guide to a trip to the Ann Summers shop." 25/11/10 -- Why not give yourself something to look forward to in 2011? It was brought to my attention yesterday that as things fall, most ordinary Mon/Fri workers here in chilly old Blighty can bag themselves a nice little break next spring without eating too heavily into their holiday entitlement. Easter is quite late next year, with Good Friday falling on April 22nd. Now we've all just been given a Brucie Bonus day off for the Royal Wedding (we aren't interested in it, but we'll take the holiday all the same), which falls conveniently just seven days later, quickly followed by guess what - that's right another day off on the Monday for May Day! That gives us two four day weekends off in secession. 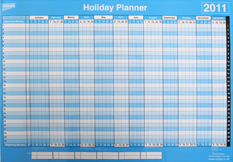 First to their 2011 Nogprint year planners can swiftly bag April 26/27/28th off, thereby booking themselves eleven days unbroken me time for the price of three days leave. The boss is so stupid that he probably won't spot your neat little ruse until it's too late, so fill yer boots. 25/11/10 -- Tate & Lyle have announced that it has agreed to sell its molasses business to Belfast grain group W & R Barnett Ltd for GBP67 million. The sale it says includes "the global molasses trading desk based in London, UK and other worldwide marketing operations together with the UK third party storage operations." Relatively new Tate & Lyle Chief Exec Javed Ahmed said that the group's clear priority now was "to grow its Speciality Food Ingredients business, supported by cash generated from Bulk Ingredients." Javed picked up a hefty multi-million pound signing on package when he joined Tate & Lyle in October last year. So at least he should be alright this Christmas then. 25/11/10 -- Our mates across the Pond might be on holiday tucking into deep-fried turkey, but to the rest of us it's just another ordinary day, except Chicago is closed. In India the winter wheat crop is late going into the ground on the back of a summer monsoon season that lasted much longer than normal, meaning that summer crops like cotton and sugar cane are still being harvested. Wheat sowings are 30% down on last season as of 19th November. They'd expect the entire crop to be sown by the end of this month normally. That might have a negative impact on yields in what is a relatively short-cycle crop with harvesting beginning in March. Iraq are expected to tender for 100,000 MT of optional origin milling wheat today/tomorrow. Typically they buy considerably more than they tender for. Yesterday the vibe was that China and America were shoulder to shoulder on the Korean situation. Today the news that the "enthusiastic" US has dispatched the aircraft carrier USS George Washington to the region, and will hold four days of naval exercises with South Korea in the Yellow Sea, has been met with a less keen response from China. The USDA's weekly export sales report is delayed until Friday. Trade estimates are: Wheat 500-800,000 MT, Corn 400-900,000 MT, Soybeans 850,000 MT-1.2 MMT. 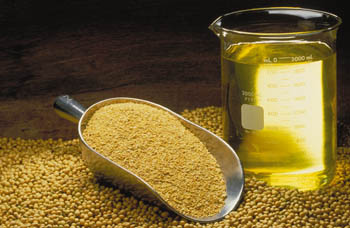 Jan 11 soybeans closed at USD12.55, up 16 cents; Dec 10 soybean meal closed at USD340.20, down USD0.50; Dec 10 soybean oil closed at 50.24, up 102 points. Outside markets helped beans, with firmer crude oil, a weaker dollar and ideas that the North and South Korean dispute was unlikely to escalate into a full blown war. China bought a hefty 780,000 MT on the day, according to the USDA. Dryness concerns in Argentina remain a worry, the last time the crop there was affected by a strong La Nina event was 2008/09 when production was slashed to 32 MMT. Dec 10 corn closed at USD5.38 3/4, up 10 1/4 cents; Mar 11 corn closed at USD5.53 3/4, up 10 3/4 cents. China officially acknowledged for the first time that they may be short of corn this season. Reuters report that China's Banking Regulatory Commission issued a statement calling for support for the agricultural sector "in the face of severe shortages of corn, cotton and sugar." USDA export sales will be out Friday since the markets are closed on Thursday for Thanksgiving. Friday will be a shortened session. Dec 10 CBOT wheat closed at USD6.47 1/2, up 5 1/2 cents; Dec 10 KCBT wheat closed at USD7.19, up 7 1/2 cents; Dec 10 MGEX wheat closed at USD7.33, up 4 cents. Wheat got support from spillover strength in corn and beans. US wheat is competitively priced at these levels on the global stage and Europe is low on stocks. Western Australian wheat is about halfway through harvest and the crop there is likely to be severely reduced by drought. Eastern Australian wheat harvesting is almost ready to begin. Although yields are expected to be bumper on abundant rains, those same conditions may mean that much of what they have will only make feed grade. 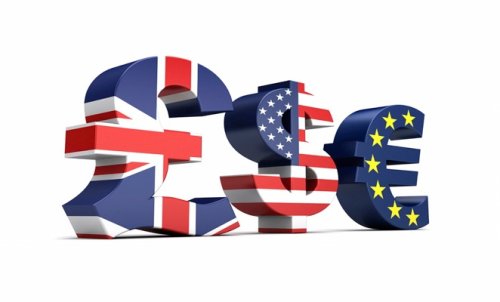 24/11/10 -- Jan London wheat ended GBP0.25 higher at GBP171.50, and Nov was up GBP1.75 to GBP145.25. Jan Paris wheat rose EUR2 to EUR216.00, with Nov also up EUR2 to EUR194.75. Much colder weather is in line for northern Europe over the next few days, which should hasten winter dormancy. A weak euro continues to pressure Paris wheat relative to that of London, so too does ideas that the differential between the two remains too large. In addition the suggestion that there is some longevity in current prices is sparking ideas that new crop discounts are attractive at the existing price disparity. Brussels is about to start auctioning off last year's surplus intervention barley stocks. Unwittingly they may be on a nice little earner on that one. 24/11/10 -- The overnight grains closed steadier across the board, with beans around 10-12c higher, wheat up 6-7c and corn 4-5c firmer. Crude oil is a little firmer and the dollar weaker as fears have eased that North and South Korea are headed for all out war. China and the US have said that they are committed to maintaining peace and stability on the Korean peninsula. 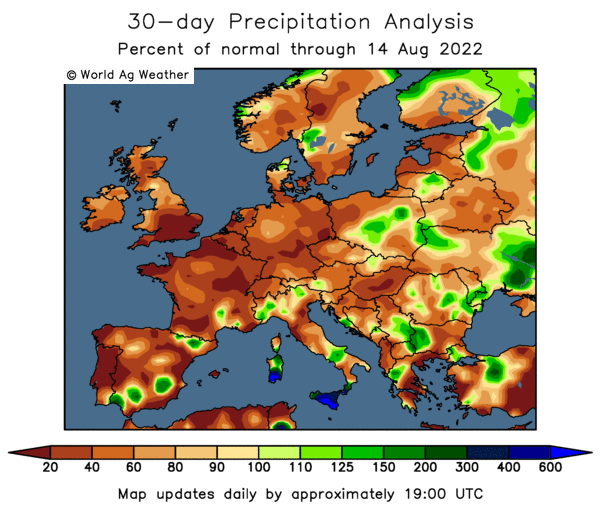 Dryness concerns in Argentina are growing, with some reports suggesting that a lack of rainfall in the forecast for the remainder of the week will produce a two month rainfall deficit of 7 inches across some fields. China's moves to tighten domestic fiscal policy aren't seen as having too much detrimental impact on demand for food commodities. Oil World predicts a 4 MMT increase in Chinese soybean imports for 2010/11. Just to reiterate the issue the USDA today reported the sale of 780,000 MT of soybeans to their biggest customer. The US October Census crush was at the low end of expectations at 157.2 million bushels compared with the average trade estimate fo 158.6 million. China sold 30% of the 1.1 MMT of wheat reserves offered at it's regular weekly auction. Yesterday it sold 23% of the 1.5 MMT of corn up grabs. 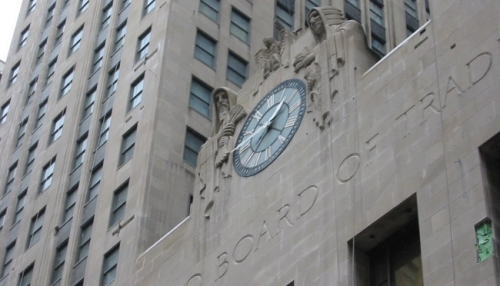 Early calls for this afternoon's CBOT session: Beans up 10 to 12 cents, corn up 4 to 6 cents, and wheat up 6 to 8 cents. Deep frying your #turkey? Make sure your #peanut oil is still fresh. Opened jar lasts 4-6 months, unopened is 1 yr. I can honestly say that deep frying a turkey in peanut oil is something that simply had never occurred to me to be a thing to even try and attempt. We always deep fry ours in lard up north. Of course my dear old Mum always used to put the turkey on around lunchtime on Christmas Eve in our house, just to ensure that it was properly cooked through like. God bless her. Although I suspect that deep frying it in peanut oil for 24 hours may have caused it to be a tad "overcrisp" by lunchtime the next day. I wonder how your average health conscious Septic deep fries his lard? 24/11/10 -- Latest guide prices for EU rapemeal. 24/11/10 -- The pound has hit it's best levels against a beleaguered euro since September 21st, pressing above 1.1850 this morning. It's more to do with euro weakness than sterling strength it seems. UK Q3 GDP data came in as expected this morning, showing growth of 0.8%. The euro is under pressure again ahead of Ireland's expected announcement detailing how it intends to cut it's deficit. The Irish government looks set to take a majority stake in the Bank of Ireland, the only major bank that they had left independent of state control. All eyes are now on Portugal too, where a national strike is organised for today, and of course Spain. It seems likely that further euro depreciation lies ahead. The pound is down against the US dollar meanwhile, touching 1.5740, it's lowest in almost a month. The US unit is benefiting from a flight to safety as the situation in Asia threatens to, well Korea out of control you might say. There's nothing quite so distasteful as a despot with nepotism is there? We Couldn't Erm, Run Out Of Wheat Could We? 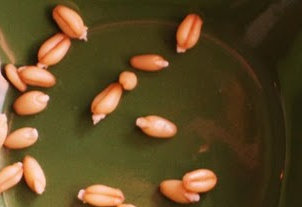 24/11/10 -- It's a startling thought, but could the UK actually run out of wheat this season? We all know that we've been exporting it like there's no tomorrow. Based on the most recent data we've got, at an average 285,000 MT a month during July/September. Scarily, export pace has been accelerating during this period, with 386,000 MT shipped out in September alone. If we were to carry on exporting at 285,000 Mt/month then 3.4 MMT would have exited these shores by the end of the 2010/11 marketing year in June. That is more than Defra's projected 1.3 MMT of exports for the entire season plus their estimated 2 MMT of carryout combined. Of course the customs data we have is now almost two months out of date. If I was a betting man, and conveniently I am, I'd wager that the pace of exports during October and November was at least in line with the average so far. That would mean we've already shipped 1.4 MMT so far this season, so we're ahead of Defra's full year target with seven months still left to go. One report I read yesterday, quoting a leading protagonist in the trade, suggested that wheat exports this season could in fact be more like 2 MMT. He's clearly right, and let's face it he should have a better handle than most on how much his company have exported during these "missing" two months. What nobody knows (yet) is how much everyone else has exported too. Other questions spring to mind, like how accurate is Defra's estimate of a 2010 wheat crop of 14.8 MMT? Some suggest that the reality might have bene lower than that. In addition what many seem to be overlooking is how much wheat got sold off as whole crop this year? Far more than normal according to anecdotal reports I was hearing back in the summer. All of this suggests a very tight supply line for UK wheat come the spring and early summer. Now I don't really believe that we will run out of wheat per se, the market should see to it that compounders substitute other raw materials into their rations instead where possible. However price needs to encourage them to do that, and that would suggest even higher levels yet to me. Jan 11 soybeans closed at USD12.39, up 17 1/2 cents; Dec 10 soybean meal closed at USD340.70, up USD7.10; Dec 10 soybean oil closed at 49.22, up 4 points. Brazil is around three quarters planted on soybeans, in Argentina it's about a third done. The latter remains too dry, with the prospect of reduced output projections from there on the cards before too long. Trade estimates for tomorrow’s Census Crush report average 158.6 million bushels. Korean tensions strengthened the dollar, otherwise beans might have closed firmer. Dec 10 corn closed at USD5.28 1/2, up 13 1/4 cents; Mar 11 corn closed at USD5.43, up 13 3/4 cents. China sold 23% of the 1.5 MMT of corn it had up for auction today, according to official sources. They have reputedly sold off more than 40 MMT in the past twelve months at auctions of this type. With a long weekend looming (it is Thanksgiving on Thursday and a shortened trading session on Friday) this was a pretty strong close. There could be more capital inflows next week. Dec 10 CBOT wheat closed at USD6.42, down 3 1/2 cents; Dec 10 KCBT wheat ended at USD7.11 1/2, down 1 cent; Dec 10 MGEX wheat closed at USD7.29, down 1 cent. US wheat crop conditions improved only marginally last night, and are amongst the worst in recent seasons. US wheat remains the most competitive in the world, and Russian export prospects look set to stay subdued for another twelve months or more yet. 23/11/10 -- EU wheat futures closed mixed Tuesday with expiring Nov10 London wheat unchanged at GBP167.25/tonne and Nov11 London wheat also unchanged at GBP143.50/tonne. Jan11 Paris wheat closed EUR3.00 higher at EUR214.00/tonne and Nov11 Paris wheat was up EUR2.50 to EUR193.75/tonne. 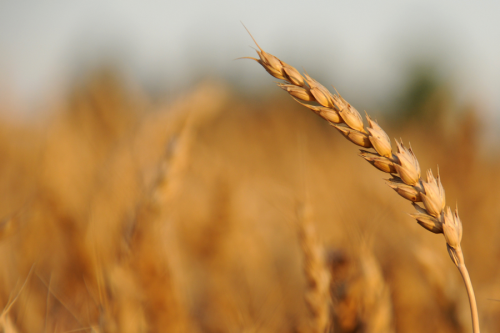 Paris wheat gained as the euro fell on continued concerns over Irish debt, despite news of a bank bailout yesterday, and ideas that other members of the bloc are waiting in the wings in need of similar assistance. Bloomberg say that the French Offre et Demande Agricole estimate winter soft wheat plantings there will be up 6.2% to 5.2 million hectares, the largest area in more than twenty years, as farmers there look to capitalise on soaring world prices. 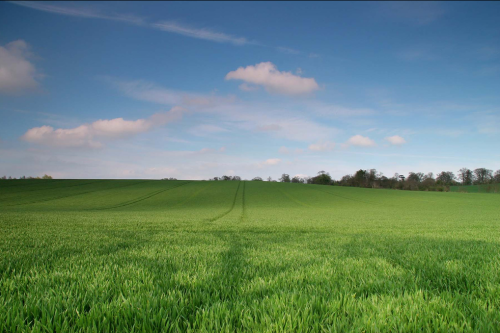 Following a similar trend to that in the UK, winter barley area will decline 12% to just over 1 million hectares, the lowest level in sixteen years, they add. 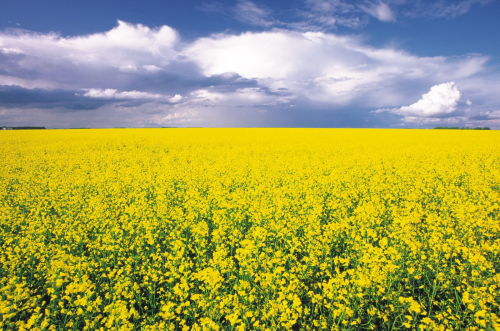 Winter OSR plantings rose 6.9% to 1.55 million hectares this year they say, adding that France may overtake Germany as Europe's largest rapeseed producer in 2011. German sowings are seen down on wet weather at planting time. Brussels will begin auctioning off last season's EU-27 barley intervention stocks tomorrow. The BBC are forecasting much colder weather to arrive for most of the UK, Germany and northern France starting tomorrow. Winter crops here are seen entering dormancy in pretty good shape. The same doesn't seem to be true for America, the world's largest wheat exporter, where the USDA last night pegged only 47% of the crop in good/excellent condition, and 16% rated as poor/very poor. In the top producing US state of Kansas poor/very poor is now rated at a rather large 26%. Round my straight talking neck of the woods we call that a large steaming pile of pooh. A steaming pile we could very well do without in fact. 23/11/10 -- Latest guide prices for EU rapemeal. 23/11/10 -- The overnight grains closed mostly lower with wheat and beans down 2-3c and corn 3-4c easier. The trade seems to be treading water looking for some fresh impetus from here. Up seems to be the path of least resistance, we're just waiting for the fireworks to start. The US dollar is firmer on a flight to safety as tensions escalate over the North and South Korea situation. Add to that lingering concerns over Ireland, Spain and Portugal too and that may provide a little downwards impetus this afternoon however, whilst the rest of us look for the matches. There does however seem to be a significant upside potential developing, even from these relatively lofty levels. The USDA upped wheat good/excellent conditions one point to an uninspiring 47% last night. Winter wheat in the top US producing state of Kansas is now a worrisome 26% poor/very poor. Argentina remains dry with the possibility of reduced crop production estimates on the way from that quarter in the not too distant future. Weather conditions in Russia are far from ideal, and are already seen almost inevitably having a negative impact on next season's crop. Don't go expecting them to be a force to be reckoned with in the export market until 2012. China keeps auctioning off the crown jewels adding rapeseed oil to it's regular grain sales this week, but sooner or later that particular well must run dry. Meanwhile Europe is now busy exporting what crown jewels that it has already sold off to less fortunate nations, whilst simultaneously smelting the remainder down to power the street lights. In short, the world is not very well placed at all for another major crop problem anywhere during 2011. Oh, have I mentioned La Nina yet? Early calls for this afternoon's CBOT session: Corn down 2-4 cents, soybeans and wheat down 2-3c. 23/11/10 -- Give it a wave, there she goes, bless. At the rate we've been exporting wheat we should have just about hit our Defra target of 1.3 MMT for the entire 2010/11 marketing year by now, according to my calculations. From here on in we are eating into our 2 MMT of projected carryover. Indeed, at the current rate of exports that will also all be gone before a single field of UK wheat is combined next summer. 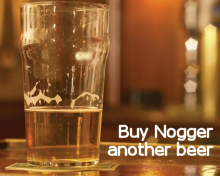 One can only hope that we won't approach the 2011/12 marketing year with such a gung-ho attitude to exports. We will, after all, have another hungry mouth to feed in the shape of Vivergo by then. Further down the line we have little Vireol expected to arrive on the scene in 2013. Whereas Ensus and Vivergo are big strapping lads, consuming over a million tonnes each of our surplus wheat, Vireol is more like Tom Thumb. His little calipered legs mean he can only manage to get half as much down his neck before he's full. So there you go, by 2013/14 we won't have an exportable surplus at all in the UK, not unless we ramp up wheat production that is. Still, at least we can all rest in our beds at night resplendent in the knowledge that the planet is safe. The three new arrivals will be churning out more bioethanol than we can shake a mucky stick at by then. What? We will be using up 2.5 MMT plus of wheat annually to make just one sixth of our renewable fuel requirement? That's the way it looks from where I'm standing. So what's the alternative then? 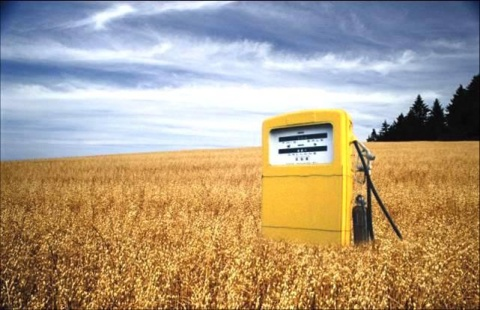 Build another fifteen similar sized bioethanol refineries by 2020 and use the entire UK wheat crop to make it? The entire east coast of England would be awash with refineries, and think of the smell. There would go the neighbourhood along with the exportable surplus. Nah, we can't do that can we, here's the solution....we'll ship in what we can't manufacture ourselves from Brazil. That's right, we'll save the planet by cutting down the Brazilian rainforest to grow sugar cane to ship bioethanol to Europe in enormous great belching boats. Jan 11 soybeans closed at USD12.21 1/2, up 20 cents; Dec 10 soybean meal closed at USD333.60, up USD7.80; Dec 10 soybean oil closed at 49.18, up 22 points. The extreme southern Brazilian and north eastern Argentine soybean areas are forecast to remain dry for the week ahead. Weekly export inspections were light at 42.763 million bushels compared to trade expectations. 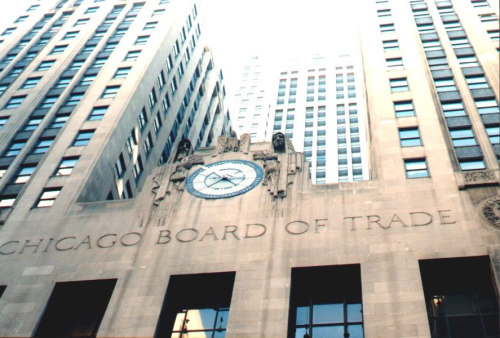 CBOT markets are closed Wednesday night and Thursday with an early noon close on Friday due to Thanksgiving. 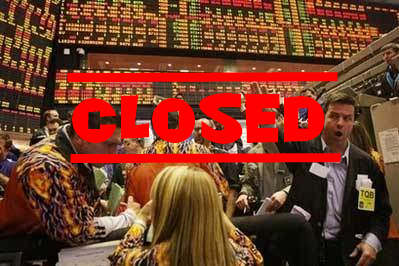 Dec 10 corn closed at USD5.15 1/4, down 5 1/2 cents; Mar 11 corn closed at USD5.29 1/4, down 5 1/2 cents. The USDA export inspections report showed 24.406 million bushels inspected for export for the week ending 18/11, below the low end of the trades expectations. Funds were said to have sold an additional 15,000 contracts on the day. Crude was lower as were ethanol futures. Argentina now has an estimated 72% of the corn crop planted. Dec 10 CBOT wheat closed at USD6.45 1/2, up 1 cent; Dec 10 KCBT wheat closed at USD7.12 1/2, up 3 cents; Dec 10 MGEX wheat closed at USD7.30, up 4 1/4 cents. The USDA export inspections report showed 13.785 million bushels inspected for export for the week ending 18/11, well below the trade estimates of 17.0 to 20.0 million bushels. The USDA announced the sale of two cargoes of US SWW wheat sold to Egypt, reaffirming the notion that US wheat is cheaper than anything else around at the moment. 22/11/10 -- Nov10 London wheat closed GBP1.35 higher at GBP167.25/tonne, with Nov11 up GBP0.15 to GBP143.50/tonne. Jan11 Paris wheat fell EUR1.00 to EUr211.00/tonne and Nov11 was EUR0.75 lower to EUR190.25/tonne. Once again the theme was a continued erosion of the differentials between London and Paris. A stronger euro, limping higher on the back of the weekend news of a deal for the ailing Irish banking sector, capped any chance of EU gains. A clean sweep by the US at last Thursday's Egyptian import tender reinforces the view that US wheat is cheaper than other origins, including EU grain, at the moment. That's no bad thing as the US have ample stocks and our own are likely to be very tight come the spring. Just to underline the issue the USDA announced an additional private export sale of 120,000 MT to Egypt today. Attention is now switching to what size harvests can be expected from the southern hemisphere, with Argentina and Australia next in the spotlight. 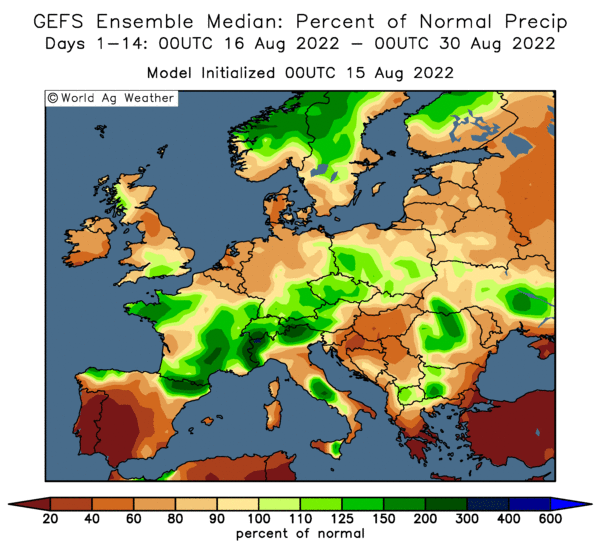 In addition to that we are now starting to look at 2011 prospects, and how winter wheat will slip into dormancy in the US, Europe, Russia and Ukraine. 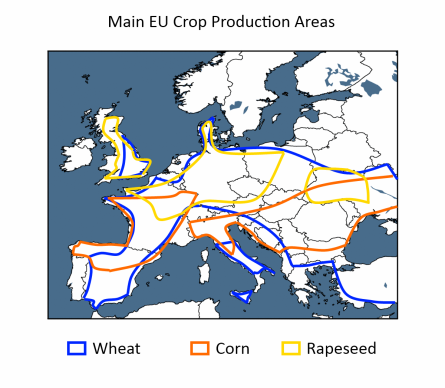 Reports suggest that European wheat is looking pretty good as winter approaches, although US crops are not quite so robust. Both regions are expected to see the first serious signs of winter this week. 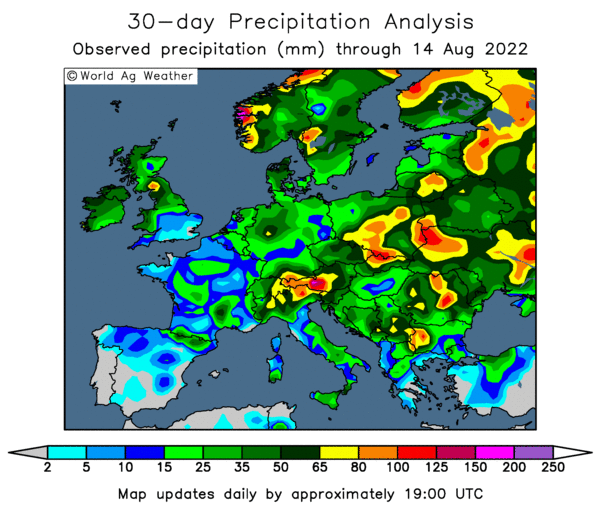 Russia and Ukraine have been enjoying warmer than normal conditions, which should be beneficial to late planted wheat, although lingering drought hasn't gone away in some areas. 22/11/10 -- Latest guide prices for EU rapemeal. 22/11/10 -- The overnight grains closed a tad firmer, although well off earlier highs, with beans around 10c higher and wheat & corn up a cent or so. Fresh news is fairly limited in what has so far been a muted start to the week. 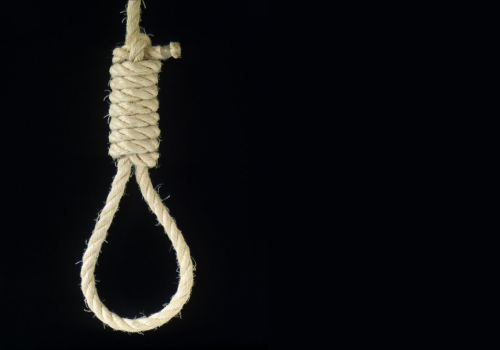 Ireland capitulated and got their bailout over the weekend, which has firmed the euro slightly. China announced that they are extending margin requirements on soymeal and soyoil trades on the Dalian stating tomorrow. The State Council have announced plans to help the poor face rising prices by increasing welfare payments. Dryness in Argentina remains a concern. Some rains on the US Plains may have improved winter wheat crop conditions, but much colder air is seen moving south from the Canadian Prairies later this week. That could bring an end to any growth left in wheat before dormancy kicks in. The USDA report tonight on US winter wheat crop conditions. 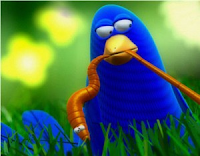 It's a shortened trading week, with Thanksgiving in the US on Thursday. They have more time off than soft Mick over there, as my Dad would say. Friday will be an even shorter trading session than the half day they normally put in too! Not like in my day, two hours kip that's all we got then it was back on the floor, trading jackets for goalposts. You had to write your own trades up in those days. Always keep your pencil sharp, our book never closes David. That's what the boss always used to say, before he went off for a six hour lunch in Ma Boyle's obviously. Australia's wheat harvest will soon be in full swing, there's no fresh news there, with things remaining far too dry in the west and too wet in the east. Record crops are expected from the latter and miserable harvest results are on the cards from the former. The USDA have just announced the sale of 120,000 MT of wheat to Egypt by private traders. Early calls for this afternoon's CBOT session: beans 5-10c higher, corn up 1-2c and wheat up 2-4c. 22/11/10 -- China has ample stocks of corn and guess what? That's right, the lucky old Chinese are to be blessed with yet another bumper crop this year, according to the deputy director of the State Administration of Grain. That bumper crop comes in on the back of last season's bumper crop, how convenient is that? It was something of a surprise how they managed to pull off a bumper crop last year, seeing as many areas had the worst drought in a century, but pull it off they did. With all this corn about them it is slightly surprising then that the price keeps going up - even though the government have auctioned off more than 40 million tonnes of the stuff in the last twelve months in an effort to keep prices down. It's even more surprising that they are importing the stuff in this time of plenty isn't it? No wonder that I'm banned over there. 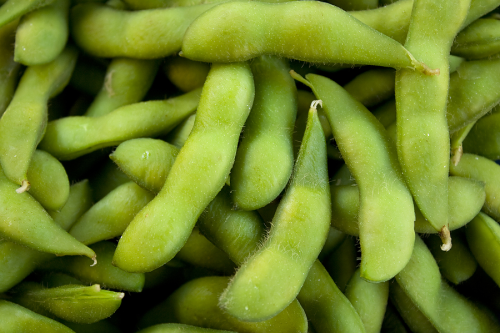 Meanwhile, as part of their effort to rein in rising commodity prices, margin requirements on soymeal and soyoil traded on the Dalian Exchange are to be raised with immediate effect from 5% to 7%. 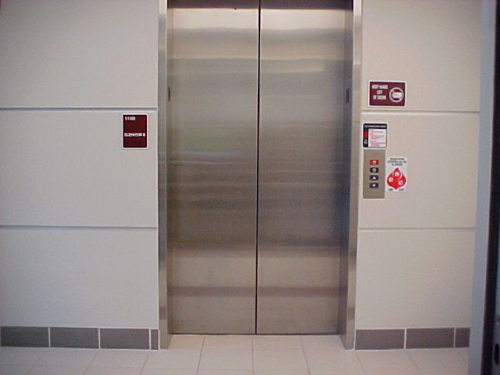 22/11/10 -- Going up. Bunge North America have announced that they've bought three US elevators, with a combined capacity in excess of 2.5 million bushels of storage from AGRI Industries. 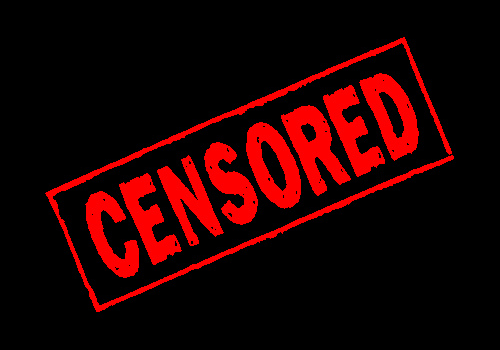 22/11/10 -- I'm indebted to my newest Irish chum James Loughran for emailing to inform me that, whilst on a recent business trip to China, he discovered that it was impossible to access Nogger's Blog over there. Apparently I am considered to constitute a threat to "National Security and Civil Obedience" by the Chinese authorities. As James correctly points out "bless their melamine tainted socks." If I'd have known that I may have thought twice before ordering that Fillet Steak Kung Po last night. Which reminds me of the old quiz question: Who was the first Chinese footballer to play top flight English football? A virtual coconut to the first correct answer to that one. 22/11/10 -- Having spent most of the last fortnight denying that they needed financial assistance Ireland yesterday finally said "oh go on then if you insist how does EUR70-90 billion sound? You'd better hurry up though as the man from Ocean Finance is on line three." The pound is currently around 1.1680 against the single currency, almost exactly where it left off on Friday, having risen above the 1.18 level early last week - it's best since late September. I don't somehow see the news as a key reversal of fortunes for the euro. The TV news was full of the public disquiet in Ireland last night, and these protests are likely to get worse when the scale of the austerity measures required to bring down the country's deficit are outlined. And then of course we also have Spain and Portugal waiting in the wings for their turn at biting the inevitable bullet. The news seems to have been met with welcome by the overnight grains which are all showing higher with beans up 16-18c, and wheat and corn up around 6-8c. 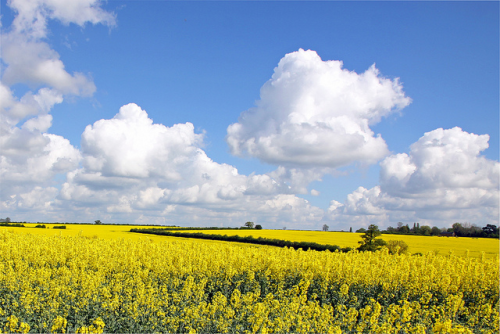 China say that they will auction off 100,000 MT of state-owned rapeseed oil on Friday. Customs data released today also shows that they've imported 1.2 MMT of wheat in the Jan/Oct period - double what the imported during the same time in 2009. The USDA will report on US winter wheat crop conditions after the close tonight, last week saw a modest one point improvement in good/excellent. 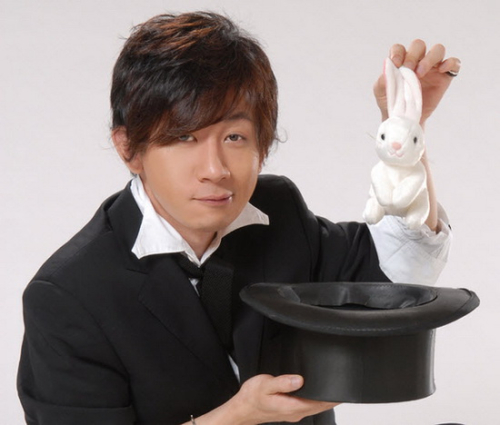 Will tonight show another improvement? It might as the Texas panhandle, Central Kansas and western Oklahoma all got rain last week, according to Martell Crop Projections. Weather news for this week concerns much colder than normal temperatures in Canada that may plunge into the US Great Plains forcing wheat into dormancy, they add. Argentina remains on the dry side, and temperatures are also rather cool - slowing down emergence of newly planted corn and soybeans. "The La Nina fluctuation typically causes drought in Argentina. Sometimes it breaks down mid summer, allowing beneficial rain to develop in February, in time for soybeans filling pods. If a strong La Nina persisted, however, it would be very damaging for Argentina soybeans with lasting drought," they warn. Look for London wheat to open higher this morning, supported by the slightly firmer euro and current differentials between UK and EU wheat. Consumers are somewhat short and becoming rather nervous. November wheat expires tomorrow.